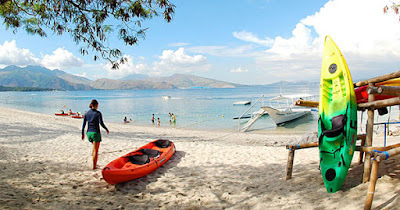 BoyRaket.com: Camayan Beach Resort and Ocean Adventure Experience! Camayan Beach Resort and Ocean Adventure Experience! Subic Bay's Camayan Beach Resort is one of those special places that make an impression that will last a lifetime. 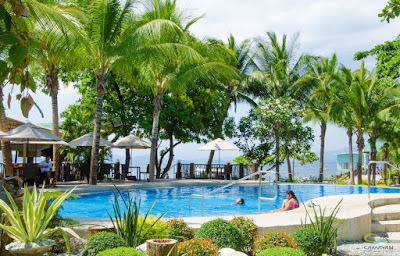 Camayan Beach Resort is located at the water's edge at the entrance of Subic Bay, it provides the perfect blend of peace, tranquility and beauty. An enjoyable and stress-free vacation. Managed by Ocean Adventure, so you’re guaranteed the same quality of service that you enjoy at our park. Relax in a comfortable cabana, enjoy good food and drinks, and swim or snorkel under the watchful eyes of our beach life guard. Located amidst the exquisite and tranquil ocean and forest of Subic Bay, this beauty is something that I have been dreaming to go to from quite some time. I've read both good and bad reviews about it but my impression is still very good on this place due to the fact that subic is one of the places outside of Metro Manila that is a go to place for summer which have an array of both virgin forests and wonderful beach resorts in it. I like how the government is backing up and really preserving the natural beauty of the place. My experience with my short stay was a lot of fun. I was able to experience to swim by the beach, really memorable because I was able to see fishes just swimming next to me, and they are almost in the shore, and If I did bring some bread I would also be lucky enough to feed them while I swim with them. Those marine life in it are really people friendly! I like the fact that they are strictly maintaining the integrity of the place being a sanctuary for various amount of marine species. I got the chance of feeding the fishes from the deck of a restaurant there next to the sea and it is quite fun, relaxing and relieves stress for me, you can see all the fish trying to swarm around the white bread that we were throwing. 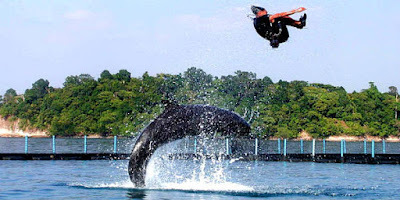 There were other activities though that I wish I can try when I get back like non pro diving and riding the motorboat and feed the fishes from there. 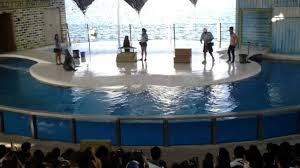 During the afternoon, we were able to explore Ocean Adventure which is a marine conservatory and adventure park founded by animal behaviorists and trainers. Another fun and educational tour I can say. They usually have educational tours for students there but it will also be fun to tour around as a tourist. You get to see the variety of fishes in Ocean Discovery Aquarium were they showcase the variety of fish that is available there, although it is not all of if but it is pretty much enough for me. Aside from the educational tour there you can also have dolphine encounter, you can visit their store for souvenirs and dine from the restaurants and the stalls in the park. Don't miss the shows that they have because it is going to be the hightlight of your trip there. The dolphin show is really awesome! That was the first time I saw it in person and the dolphins were amazing! Doing tricks together with their trainers . Another good show to watch will be the Sea Lions. The story line with their trainers will really entertain you and this will make your tour whether be a date or with your family be worth your while.